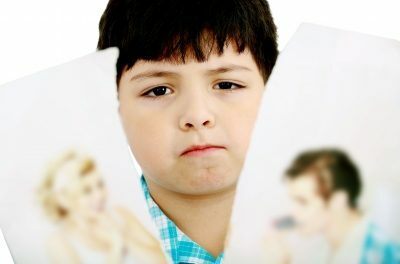 Kids birthday parties – ohhhh the pressure! Well not this year! To ease the pain/stress/nightmare (can you tell I love kids parties ☺), myself and another mum joined forces and hired in the expertise of Karen & David who run Powerbanana (as well as Bodyworks Bootcamp). 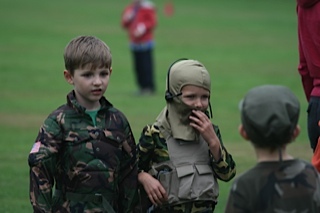 As the party guests arrived at Beaconsfield Cricket Club, we slathered their faces in army face paint stripes, kitted them out with their army hats and let them run ragged until everyone arrived. 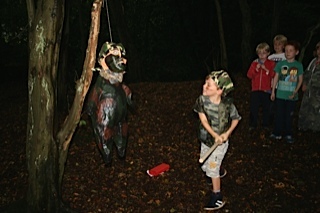 The party started with a march through the woods by the golf course playing games along the way including tug of war and a piñata (check out the cool dude below made by Karen). 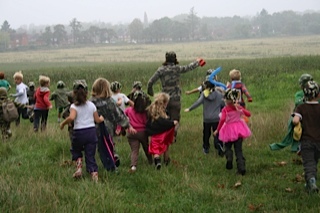 The kids absolutely loved it and were able to run wild and enjoy the freedom of outside space. 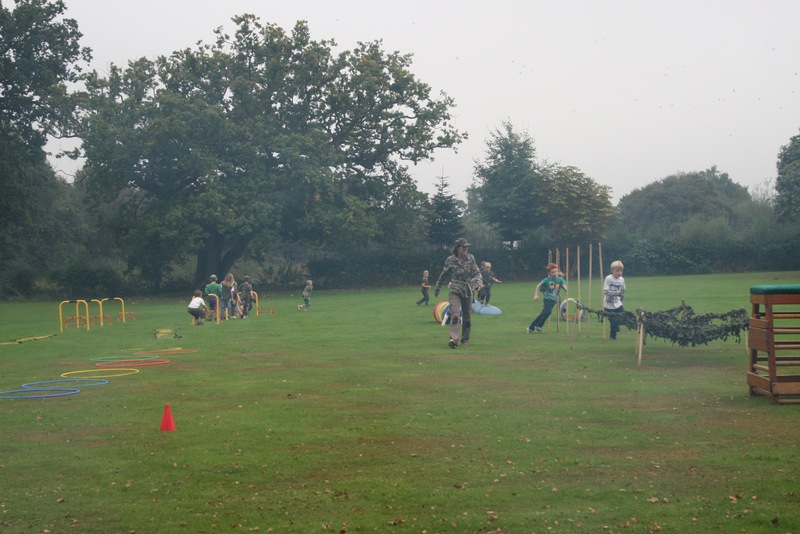 The route ends at the back of the cricket club where there are more team games and an obstacle course – see below. We outsourced the food prep to the dads ☺ – a BBQ (the BBQ is supplied by Powerbanana and David lit the BBQ before the start of the party). Powerbanana also provide a gazebo and a table. On reflection, we would recommend bringing your own party food in little boxes (like these) – this is a much easier way to serve party food. The BBQ although a really nice idea, is more hassle than it’s worth. 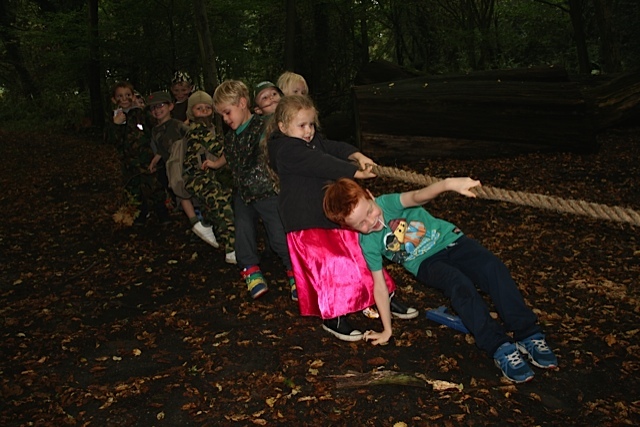 Powerbanana Parties cost £200 per party and work well with 14 children upwards to a max of 24. 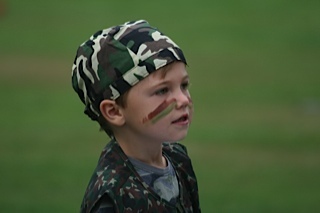 Themes include: Army Party, Pirate Party, Star Wars Party, Zumba / Pamper Party or Karen can also tailor the party to your theme.